You do not want a down-to-earth place with boring seating after a long day at work. You want something moving, exiting, chilling,.. with a view of a balcony, just enjoying your moment, tasting some really good food, holding your favorite drink, while chatting with interesting people. Yes? 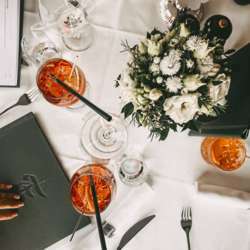 This time you are invited to one of the newly opened favorite Italian restaurant in Basel. Fully exclusive area, with glamorous view on the Rhine. Don't miss a chance to experience traditional Italian antipasti, unwind yourself with a drink, smile/ hug or kiss by a friend.. Specially selected Italian lounge & party music will set up & spicy the mood. The Italian word ‘Aperto’ means to ‘open, begin’. So let it be. Relax. Enjoy. Buzz. Party. As special highlight,. you will have the chance to participate in the Tombola Night, by registering for the event. The winner will be picked up/ announced live, later that night! The PRICE IS ROMANTIC DINNER FOR 2 at the FIORENTINA RESTAURANT. So don’t miss a chance to surprise you love or friend one with a nice cozy dinner. *Feel free to bring along your +1 or friends and colleagues (they can sign up here easily as well). If you are however joining on your own, please let us know and we will gladly make introductions for you if you wish.